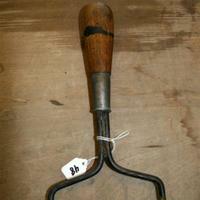 Metal rake with wood handle. 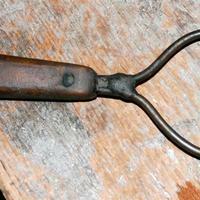 Metal clay rake with two ends. 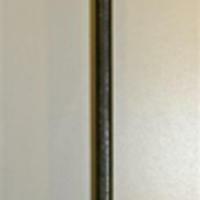 One ends has a hook and is serrated, the other is slightly curved and is also serrated. 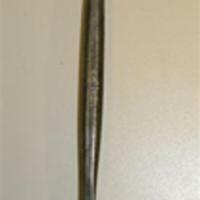 Metal clay rake with one flat round end and one serrated end. 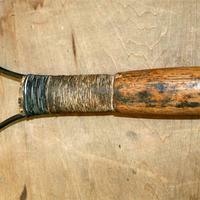 "Caselli 32 Italy" engraved on tool. 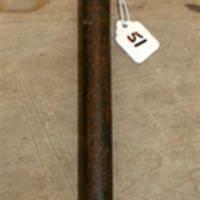 Metal rake tool tagged with paper tag number "51"
Wide rake tool all metal. 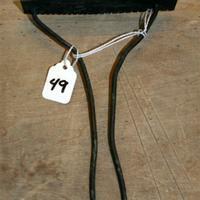 Tagged with a white paper tag on string number "49"
Rake tagged with paper tag number "48"